It’s time to hit the street and let the new administration know what you think! Cities all over the country, including six in AZ are holding rallies, marches, and protests to demand that Trump release his tax returns! Join us as we rally at La Canada & Esperanza on Sat Apr 15 from 10-11 am. Without Trump's tax returns, Americans are in the dark about the president's conflicts of interest, his foreign entanglements, and whether he even pays any taxes at all. 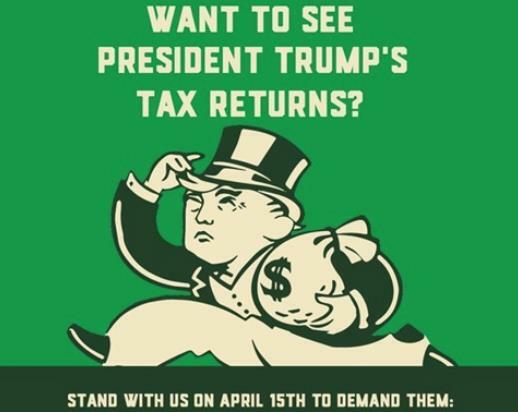 Let’s show Trump that we the people DO care about seeing his tax returns. Visit http:Taxmarch for information about the national movement. We will have some signs available, but feel free to bring your own.